A coalition of conservation, recreation and ag groups released a new poll today showing support for an increase in the state sales tax to fund water quality projects through the Natural Resources and Outdoor Recreation Trust Fund. 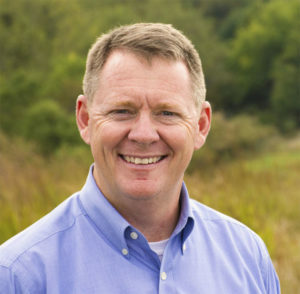 Iowa Natural Heritage Foundation president, Joe McGovern, says support has been strong since the fund was created by a constitutional amendment in 2010. “But this last polling of 69% — and that’s 69% saying they support the trust fund by raising the sales tax — those are strong numbers,” McGovern says. The proposal is to raise the sales tax by 3/8 of a cent, and the amendment requires the increase to go into the fund. McGovern says two-thirds of that increase would go to water quality projects. “Right now we estimate that would put 187 million into the trust fund,” McGovern says, “over two-thirds would go directly to water quality measures to help the nutrient reduction strategies.” The sales tax hasn’t been increased, so the there hasn’t been money put into the fund. He says tax increases are not something anyone wants — but he says Iowans have shown they support one if the money goes to a specific source. McGovern says the recent increase in the gas tax is an example. “You know when you think about the gas tax, we all knew there were needs. We knew that we had failing bridges, we knew that we had roads that needed repair. so, when those taxes are used for what they say they are going to be used for, people understand that, Iowans expect that,” McGovern says. “That’s why we went the route of the constitutional amendment. So that when this fund was created, it would be protected.” McGovern is hopeful Iowa lawmakers will see the poll and support and approve a sales tax increase. “We know we have budget issues, we know we have tax reforms being talked about. So, if this can be part of a larger conversation, if this can be something that’s comprehensive, we know there’s some water quality needs out there. We’re thinking much bigger,” according to McGovern. The poll was commissioned by Iowa’s Water and Land Legacy (IWILL) Coalition. The coalition executive council is comprised of leaders from the American Heart Association, Ducks Unlimited, Iowa’s County Conservation Boards, Iowa Natural Heritage Foundation, Iowa Soybean Association, Pheasants Forever and The Nature Conservancy in Iowa.